2017 Ford Fusion SE For Sale In Vernon, Kelowna, Okanagan, BC. Sporty styling and modern technology create a fun ride with the 2017 Ford Fusion SE. This four-door sedan seats five and offers premium comfort and ample space. Modern amenities cater to your every need, no matter where your destination leads you. Sleek lines and sculpted curves enhance the sporty image of the 2017 Ford Fusion SE. This stylish sedan is fun to look at and to drive with LED signature lights and rocker mouldings. Automatic halogen headlamps brighten your way while daytime running lights enhance visibility even during daytime hours. Body-colour bumpers, mirrors and door handles create a clean look while the available heated mirrors with turn signal indicators work to clear themselves of ice or debris. Open up to fresh air and natural light with the Power Moonroof for a luxurious encounter. Sit down in the 2017 Ford Fusion SE with ease as you enjoy the modern layout and advanced ergonomics. A 10-way power driver’s seat offers prime positioning on the go as its memory settings ensure you’re always in the right position for the journey. Available heated front seats keep you warm on cold winter days so that you can face early mornings and chilly weather without hesitation. This model also features power windows and locks, cruise control and push button start for added convenience. Breathe in fresh air thanks to the cabin particulate air filter while the optional Dual-zone electronic automatic temperature control provides the perfect atmosphere for all. Experience the power of innovation in the 2017 Ford Fusion SE as you increase comfort, connection and entertainment. Featuring a six-speaker audio system, or a premium audio system with 11 speakers, this vehicle ensures that clear sound is heard throughout the cabin. 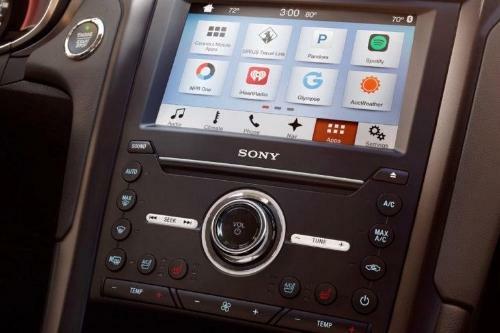 SYNC keeps you in touch with hands-free calling, while the optional SYNC 3 gives you even more user-friendly options, including a voice-activated navigation system for turn-by-turn directions to an array of destinations. 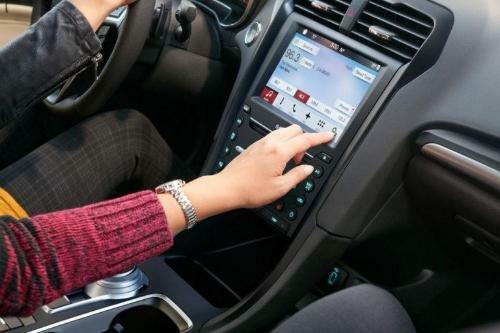 Listen to your favourite stations on SiriusXM satellite radio as you enjoy a wide selection of commercial-free entertainment. Stay informed with the help of the 4.2" driver configurable LCD display in instrument cluster. Choose just the right accessories to enhance the versatility of the 2017 Ford Fusion SE. Select a roof rack or roof carrier to bring along more stuff without crowding your passengers, as well as to enjoy the ability to bring along larger or more awkward items. Advanced technology becomes available to enhance your experience, such as with remote start for convenience on cold days, or the security system to help provide peace of mind. Protect this vehicle with special covers and a hood protector, keeping everything looking fresh and new. 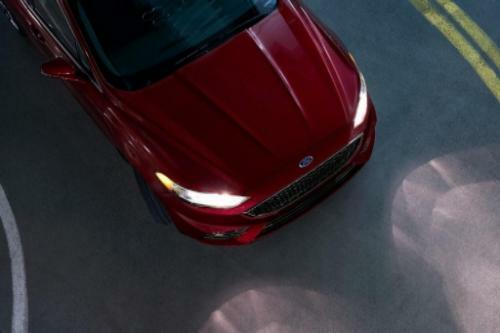 Feel the power beneath your hands with three engine choices for the 2017 Ford Fusion SE. Two EcoBoost engines ensure just the right amount of power while providing optimal efficiency. Enjoy precise handling with the six-speed automatic transmission or select the SelectShift automatic transmission with paddle shifters for a sportier feel. Go with the intelligent all-wheel drive to keep you out on the road in all kinds of weather conditions. Award-winning safety and power make the 2017 Ford Fusion SE a winning choice for drivers. Advanced safety technology provides peace of mind with the 2017 Ford Fusion SE. An outstanding warranty covers the 2017 Ford Fusion SE no matter where you go. Travel in style and comfort in the 2017 Ford Fusion SE. This sedan offers premium comfort and convenience while ensuring optimal efficiency for every journey. Modern design and technology provide for your every desire. Stop by your local Vernon Ford Dealer – Watkin Motors Ford to see the 2017 Ford Fusion SE in person as well as our other Ford models. See which vehicle captures your attention and take it for a spin. 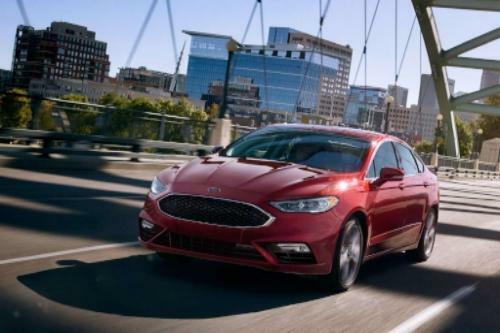 Watkin Motors Ford offers a large selection of Ford models whether you need the space and comfort of a sedan, the sporty style of a coupe, the capability of a truck or the versatility of an SUV.